Who else, really? I mean this is the band who unite the ever distant worlds of pop music and the internet music crowd: everyone likes them. Well, everyone in this case is not everyone, but the widespread popularity Arcade Fire enjoy has made them a mainstay in gathering-based playlists ever since Funeral. They've just put up their new album for streaming on Youtube, too. 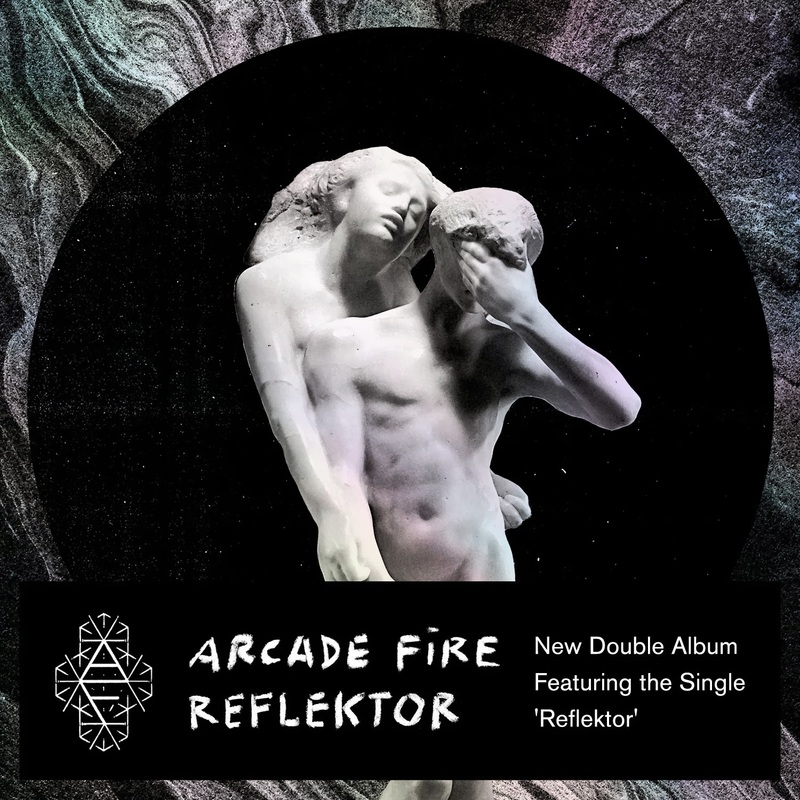 Perhaps it's because of Arcade Fire's permanent place in these playlists that they've decided to take a much more danceable, groovy route with Reflektor. Previous releases have always bordered on the depressing side, but Reflektor's strong bass-lines leave it feeling much more optimistic. This isn't a band commenting on the drudgery of suburban life, it's one having a fantastic time. For better or worse, Arcade Fire's slightly pompous tone has still managed to reveal itself in this new release. Songs still hit as slightly patronising, and the likes of "Normal Person" might leave the listener wondering if they might be pushing too far into teenage angst territory. Nevertheless, it makes it all the more impressive for Arcade Fire to still impress with an overpowering mix of intelligent song-writing and sheer catchyness. The internet can't seem to decide if Reflektor is the worst album they've released or the best thing ever, but there's definitely a lot to enjoy.